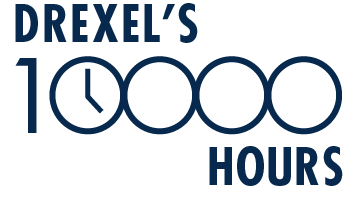 The 10000 Hours Podcast | BIG THINGS HAVE SMALL BEGINNINGS: What’s it take to become an expert? A lot of work, a little luck, and a really good story. What’s it take to become an expert? A lot of work, a little luck and a really good story. 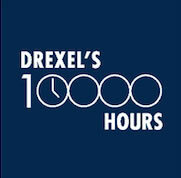 What is Drexel’s 10,000 Hours Podcast? How long does it take to become an expert in something? The writer Malcolm Gladwell famously said that it takes someone at least 10,000 hours of practice before they can really claim expertise. Quibble about the exact number of hours all you want, but the point is: it takes a ton of time, energy and passion to master your field. On this podcast, we’re just as interested in the journey as we are in the end result. That means talking not only about our guests’ research (though don’t worry, we learn all about their current interests and projects as well), but about what inspired them to pursue their work and how they got to where they are today. Get ready for childhood stories, college mishaps and first jobs in closet-sized offices.